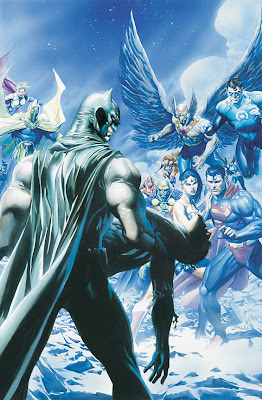 I just checked the DC Comics website and it confirms DC Countdown, on sale March 30th, is an 80-page book complemented with a cover by Jim Lee and painted by Alex Ross. I know this has been the subject of many message board topics lately and I will let everyone know the latest as soon as I hear it. And it's only a dollar! Maybe everybody should pick up a couple.